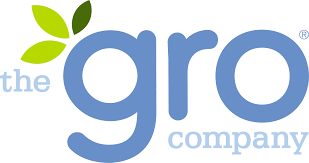 The Gro Company, award-winning and industry accredited manufacturer of safer sleep solutions. 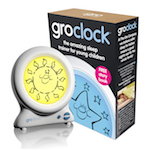 The Gro Company provides parents with the tools required to give their children a safer, more content night’s sleep. We take great pride in our breath of in-house expertise covering technical research, product development and design, quality control and manufacturing. We are most famous for the multi-award winning Grobag, the No1 baby sleep bag brand in The UK and Australia which has changed the way babies are put to bed. 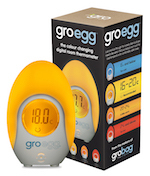 But it does not stop there; our range also includes the Groegg, Groclock, Grotobed sheets, Groanywhere Blind, Grosuit, Groswaddle and new to the business the Grohush, Grolight and Swaddle Grobag. The Grobag is also uniquely endorsed by The Lullaby Trust, who is committed to supporting research to understand why babies die suddenly and unexpectedly and to find out more about how to prevent these tragic deaths. We are proud that our partnership with The Lullaby Trust has donated over £500,000 to date and has reached hundreds of thousands of parents with safe sleep advice and materials.